The intersections of religion, politics, and performance form the loci of many of the most serious issues facing the world today, sites where some of the world’s most pressing and momentous events are contested and played out. That this circumstance warrants continued, thoughtful, and imaginative engagement from those within the fields of theatre and performance is one of the guiding principles of this volume. This collection features a diverse set of perspectives, written by some of the top scholars in the relevant fields, on the many modern intersections of religion with theatre and performance. Contributors argue that religion can no longer be conceived of as a cultural phenomenon that is safely sequestered in the "private sphere." It is instead an explicitly public force that stimulates and complicates public actions, and thus a crucial component of much performance. Rather than offering a mere cultural tour of religious performances, this collection identifies a relevant set of current approaches, perspectives, and methodologies that will serve as models and provocations for further exploration. From mystic theologies of acting to the neuroscience of spirituality in rituals to the performance of secularism, these essays address a broad variety of religious traditions, sharing a common conception of religion as a crucial object of discourse—one that is formed by, and significantly formative of, performance. The book is a critical study of the esoteric religious elements in Russian symbolism and the dramaturgy of the greatest of the symbolist poets, Aleksandr Blok. For a variety of historical reasons, critics have almost entirely failed to examine these crucial aspects of Blok’s dramatic output, and this fact has produced a widespread misunderstanding of the symbolist movement among scholars, educators, and students of theatre. This is unfortunate, for to read the work of the symbolists in a manner exclusive of its religious and esoteric context is to blithely pass over its raison d’être; simply put, it is to miss what the symbolists were all about. In addressing this gap in theatre scholarship, Gharavi situates Blok’s most famous drama firmly within the occult revival that characterized Silver Age thought, and adopts a mode of hermeneutics that provides a fresh and more appropriate model for understanding symbolist dramaturgy. In addition to the lengthy critical exegesis, the book also includes the first annotated English translation of The Rose and the Cross, as well as the first English translation of Blok’s own notes. Blok was inspired by the occult revival that largely defined the Russian Silver Age, and his play dramatizes his replies to the characteristically Gnostic questions "Who are we? What have we become? Where were we? Whither have we been cast?" In this comprehensive introduction to and commentary on The Rose and the Cross, Lance Gharavi reveals how Blok, in this profoundly mysterious drama, drew from the Western esoteric traditions of Gnosticism, Kabbalism, Hermetism, and alchemy in order to create his own masterwork. A Special 100-year Anniversary Edition of Aleksandr Blok’s 1913 drama, Roza i Krest. Russian with facing-page English translation by Lance Gharavi. 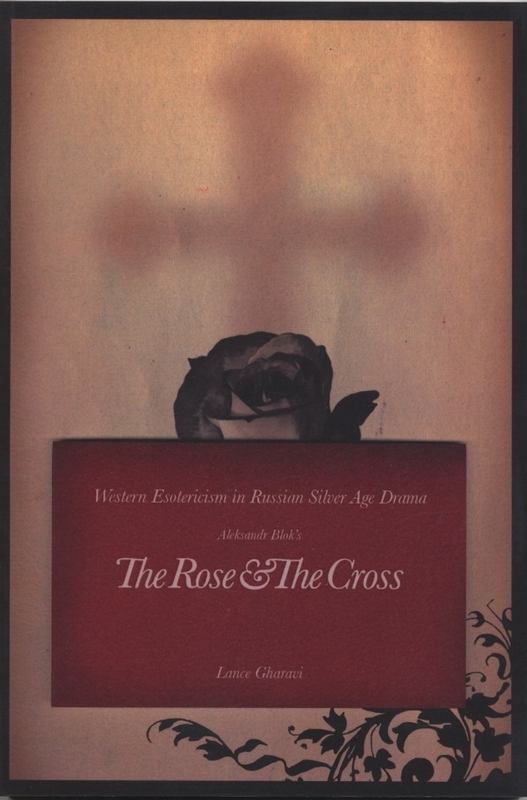 Includes Gharavi's English translation of Blok’s “Notes on the play The Rose and the Cross.” Featuring essays by Avril Pyman and Irina Prikhodko. Original art by Kiril Sokolov.